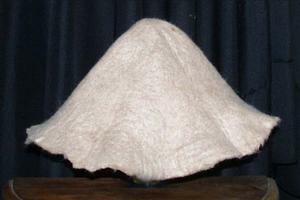 100% Alpaca felt hat cape ready to block into your own, one of kind fashion statement. Capes come in small for small brimmed hats such as Bowlers and in large for hat with wider brims. Please Call for information on available colors. 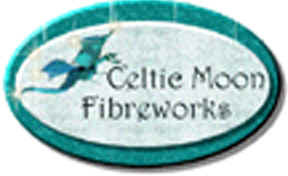 Great for customizing with needle felting. 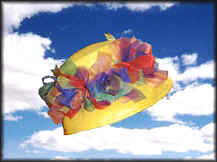 Your fiber art students will be able to finish a custom hat in a few hours. Great for use with hat blocks from www.hatshapers.com. Amillinery supply house, established in 1996, servicing independent milliners, hat shops, theatres, schools, students, costume groups and wannabe hat makers everywhere. Most of the links that I use are already here. Lots of interesting facts and ideas here! 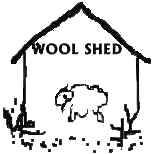 WHAT IS FULACHTA FIADH CLICK HERE TO FIND OUT..
Want to learn about felting in Mongolia? FELT Nomadic Felts of Fethiye Really neat. Wonderful Articles of Calvin Patrick. Hats for the individually trendy. . 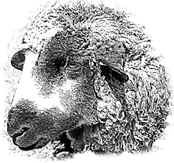 Incredible Webpage wonderful links to wonderfully informative and educational websites! An excellent resource! Everything you could possibly think of and more! This is a remarkable history page.